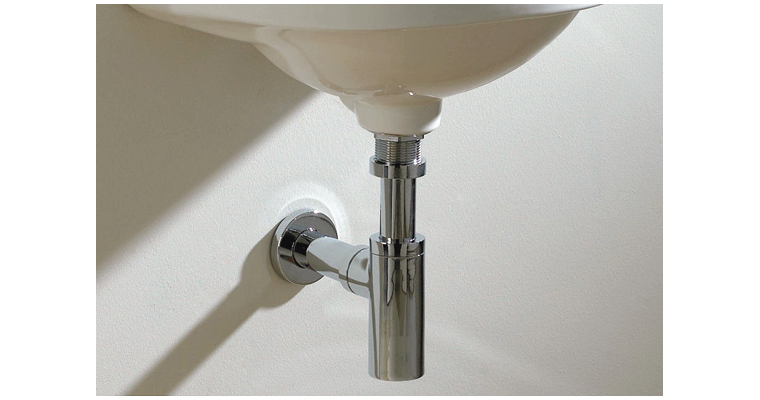 The K-9033 and K-9035 bottle trap drains fit in the exposed area under a bathroom sink. They provide a contemporary alternative to traditional P-trap options. These drains are intended to be used with console table and above-counter installations. An inner tube acts as a barrier or "trap," preventing sewer gas from entering the atmosphere. 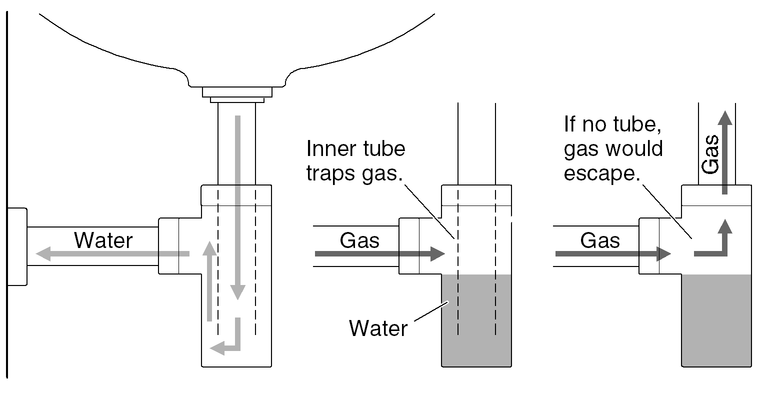 Without the tube, the space above the water line would allow gas to escape through the drain hole in the sink.